Jason G. Goldman is currently in South Africa, getting up close and personal with the animals there. 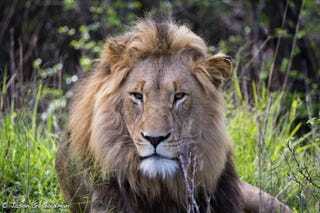 He visited the Nambiti Private Game Reserve, where he snapped all these beautiful photos of the lions there. Read all about it, and learn the lions' names, below.